Artefact Description Wood and paint layers from the west-side Turret at the entrance to the Pier. The Turret is approx. 20ft high and the diametre is approx. 8ft. History of Artefact It is the only part of the Pier that is Grade Two Listed. It is the original part of the Pier that did not burn down. 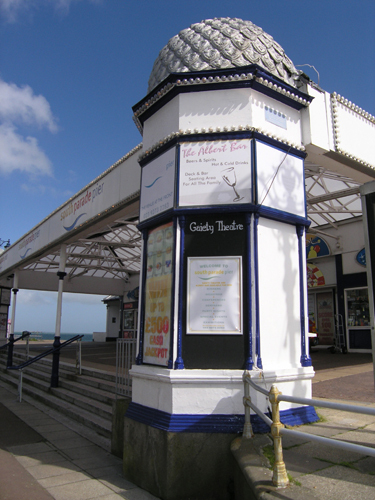 The Turret has three windows and a lead roof and this part of the Pier houses shops / stalls at the current time.